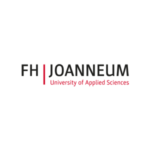 The University of Applied Sciences FH JOANNEUM, provides FH-degree courses in specialised technical and economic disciplines. Within the sector of information society technologies, the courses and research groups in the sectors information management and information design are most relevant. Apart from subject-oriented contents, the courses offered by FH JOANNEUM also emphasise character-forming contents to enable graduates to solve practical problems encountered in their respective professions on a holistic basis. The courses of study are characterised by a highly structured organisation which is achieved by a close relationship between teachers and small groups of students as well as by the mandatory nature of some courses. In the Department of Information Design they are concerned with the planning and implementation of interactions with information objects and equipment. This involves solving many of the problems in the design of the human-computer interface. Their research explores issues in aesthetics, cognitive science, cultural studies, education, engineering, and rhetoric, helping them to build digital systems through which users can more effectively communicate, interact, and learn. The Department of Information Design is in close collaboration with various European universities. Furthermore there are cooperations with Media-Art-Centres in Austria (Ars Electronica Center, Linz), Germany (ZKM, Karlsruhe), Spain (MECAD, Barcelona) and Hungary (C3, Budapest).